Happy Feast of Our Lady of Lourdes! This is the 4th anniversary of the release of our Children’s Rosary theme song: Rosary Children. We include the link to the song now with lyrics added to the video. Many Children’s Rosary groups have chosen to sing this at the end of their meetings. We have the sheet music available to download as a pdf on our website. We thank God for Our Blessed Mother and also for the many children who follow the example of St. Bernadette and pick up their rosaries and pray each day. 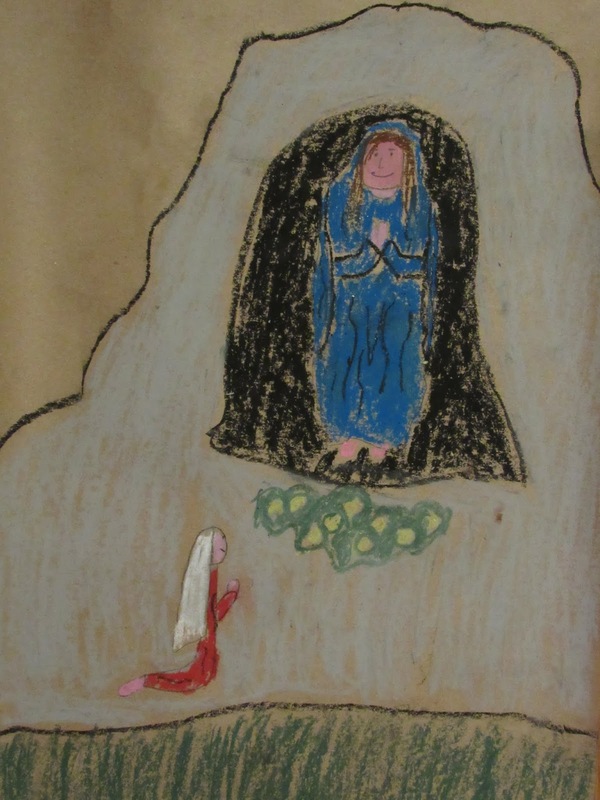 Photo credit: drawing done by Kostin, age 13, a member of the Children’s Rosary.